The Best Investment - Audiobook | Listen Instantly! The Best Investment: A Better You delivers practical, real-world lessons and advice to help you renew your thinking and develop the best version of yourself. 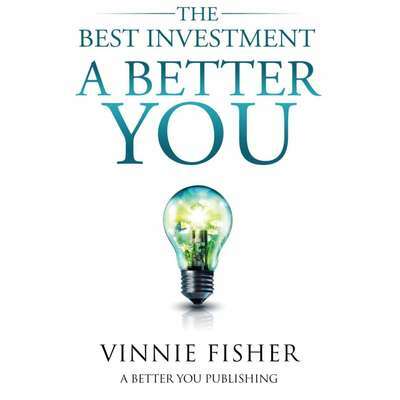 Through the use of personal stories, exercises, and resources for further exploration, Vinnie creates an engaging, insightful book that is equal parts prescriptive how-to and inspirational personal philosophy. The best investment you can make is to believe in the best version of yourself. A better you will be equipped for success, meaningful relationships, and helping others. A better you opens you up to opportunities, not obstacles. Make the commitment and invest in yourself today! Download and start listening now! Vinnie Fisher is a husband, family man, businessman, entrepreneur, and lawyer. After leaving his law practice in 2007 to pursue entrepreneurship full time, Fisher cofounded several multimillion dollar businesses before focusing on his passion project, The Best Investment: A Better You.